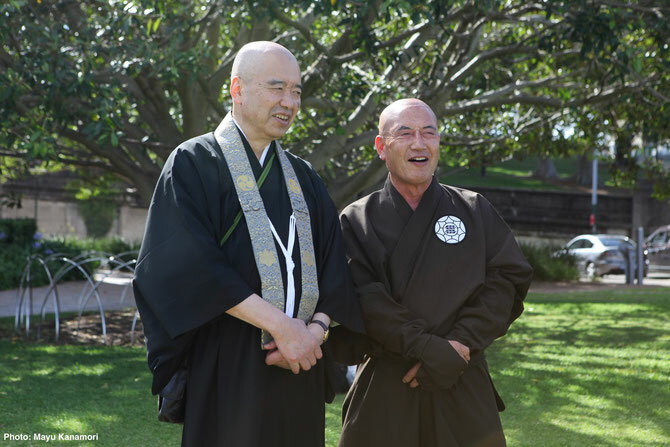 On the 19th of November 2014, Socho Soeda Ryusho (Head of Koyasan, Kongobuji, Japan) visited Rev.Washo Saito, Abbot of Koyasan Shingon Mission of Australia Seizanji Temple, and conducted the Grand Opening Ceremony (Hondo Rakkeihoyo) of Koyasan's Premier Australian Temple. 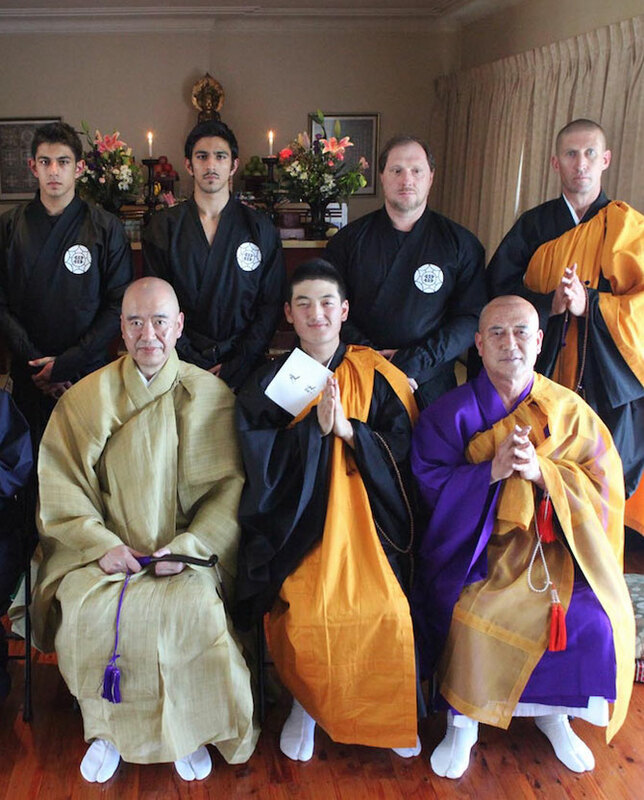 This visit celebrates the historical link between Koyasan, represented by Rev. Soeda's Rengejoin Sanada Bo (Six Coins Temple, Jonin Sanada Yukimura's Ancestral Temple) and the Iga Ninja Clan, represented by Rev. 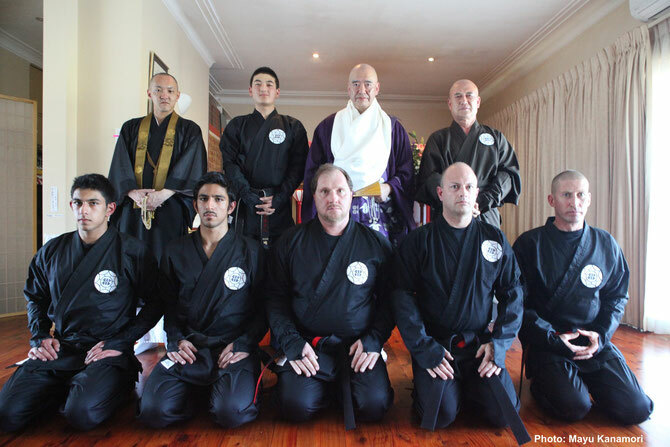 Saito, also known as Crando Saito, the 16th Grand Master of Iga Ryu Ninjutsu, passed on by the 15th Grand Master, Okuse Heishichiro Soke. Crando Saito's school, known as Shinbukan, uses the historical emblem of Jonin Momochi Sandaiyu Crest (The crest is the Constellation known as the Big Dipper with two arrows crossing). The Grand Opening Ceremony brought both the present day successors of Jonin Sanada Yukimura and Jonin Momochi Sandaiyu together, engraving the historical significance of this occasion. 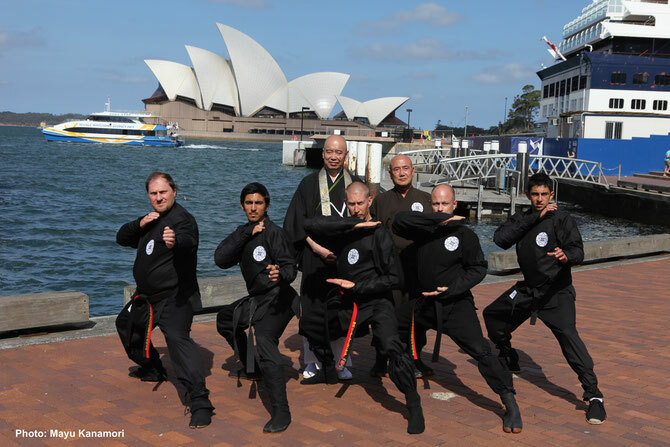 Presently, Iga Ryu Ninjas still acknowledge the origin of Kujikiri (techniques which Ninjas use) derived from Koyasan Ajari.